Getting a puppy is a wonderful and exciting event; but choosing the right one for you and your family should take time and careful consideration. Once you have decided on the breed you want here are a few tips to help you choose the puppy that will bring you and your family joy and fun throughout their life. 1. Go to breed shows to meet the breeders and see their show dogs. Ask them about their health, temperament and the types of families who have bought their puppies. 2. 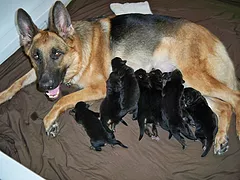 Before you chose your breeder, visit them to see where the puppies are reared. Make sure that the puppies are reared in the home for the whole period. 3. Make sure you meet the puppy’s mother at the very least. Try to see the father as well. If you are told the mother died, then get evidence of this from their vet. If you can’t see the mother, this should be a big warning sign. Some people act for puppy farmers and pretend the litter is home-reared. 4. Meet the litter from four weeks of age and visit several times. 5. When you first meet the litter, observe them. Do they play nicely with one another? 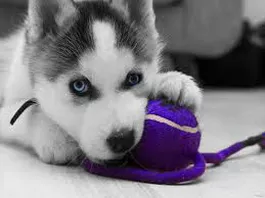 What happens if you approach the pup which has a toy? Do they want you to play or do they take the toy and move away from you? 6. How are the puppies fed? Are they fed in separate bowls or communal bowls? Ideally, they should be fed separately or in small groups so that they get enough food and this would reduce the need to fight for food. 7. Are there any puppies that don’t immediately engage with you? These puppies may not be as social as others and may find a busy family home with children too overwhelming; they are probably more suited to a quieter, adult home. 8. Some puppies may be very bold and demand your attention by nipping you or climbing all over you. Puppies like this are usually very bright and want to be involved in everything. They will need a lot of mental and physical stimulation and need an owner who is prepared to put the time and effort into training and managing them. 9. Ask your breeder how much they have been socialising the puppies. Do they interact with adults and children; are the encounters with children closely supervised; have they experienced different surfaces, household noises and noises such as fireworks and gunshots. 10. The early weeks of a puppy’s life are very important for their ongoing development as stable, socialised and robust dogs. You should take your puppy home no later than 8 weeks old. After this you will very quickly lose important early socialisation opportunities. 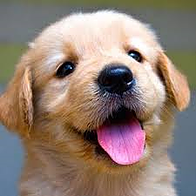 If you can’t collect your puppy until later ask your breeder to ensure that they vaccinate your puppy and take them to puppy classes so that some socialisation and training takes place before you collect your puppy.